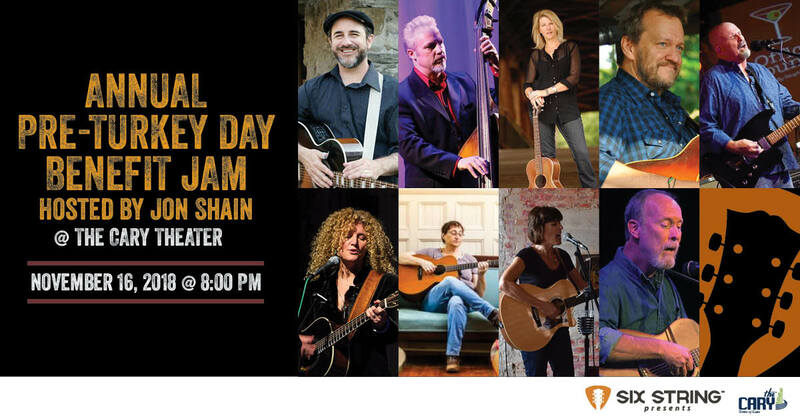 Each year Jon Shain and Six String Presents get together to raise money for local charities around the Thanksgiving Day Holiday. This year’s show will be on Friday, November 16, 2018, starting at 8pm at the beautiful Cary Theater in downtown Cary. ALL proceeds from the show will go to The Interfaith Council for Social Services and the Play It Forward Scholarship Fund. All the artists, the promoter and the theater staff and facility are donating their time and money towards the show.